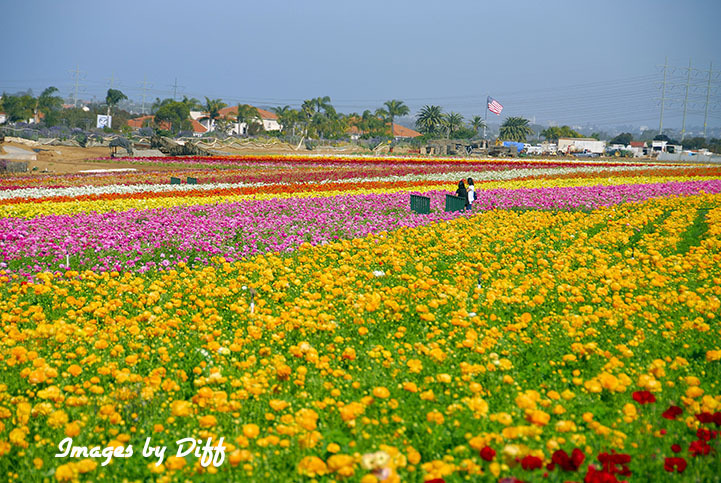 click photo to enlarge The Flower Fields of Carlsbad is one of those things here in Southern California I have wanted to go to for years. About 8 years ago we were returning from San Diego and drove by it. At that time I knew nothing about it. 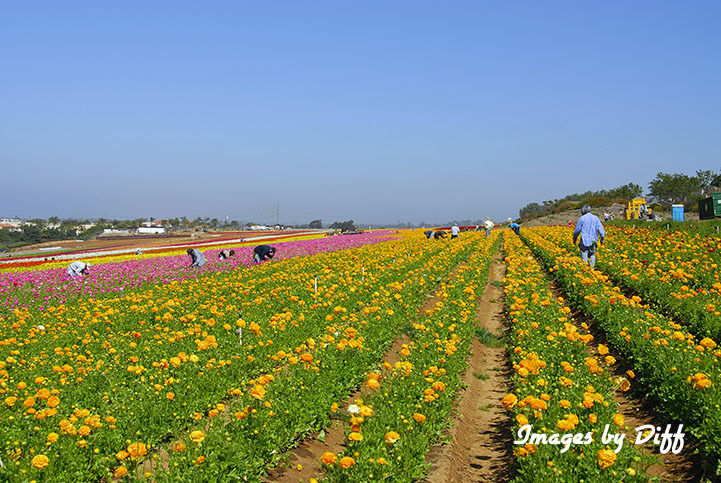 We drove into the parking lot and saw the line to get in and the throngs of people in the fields and decided this was not a good day to go. 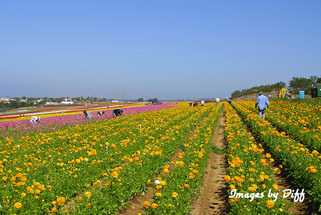 This time I took a day off from work so we could go during the week. click photo to enlarge Ahhh much nicer there were not bazillions of people. It was a bit windy though which makes it very hard to get nice sharp pictures of flowers because they are moving in the wind. Hey, you have to take what you are given huh. 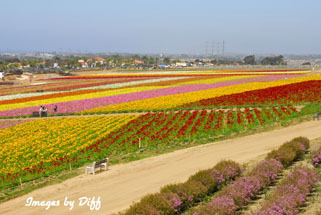 There are over 50 acres of flowers. 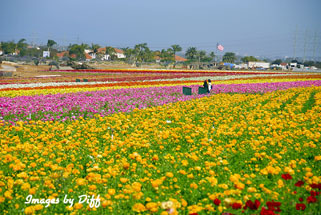 They have one area they plant in the shape and colors of the American Flag. Unfortunately that was not blooming why we were there. 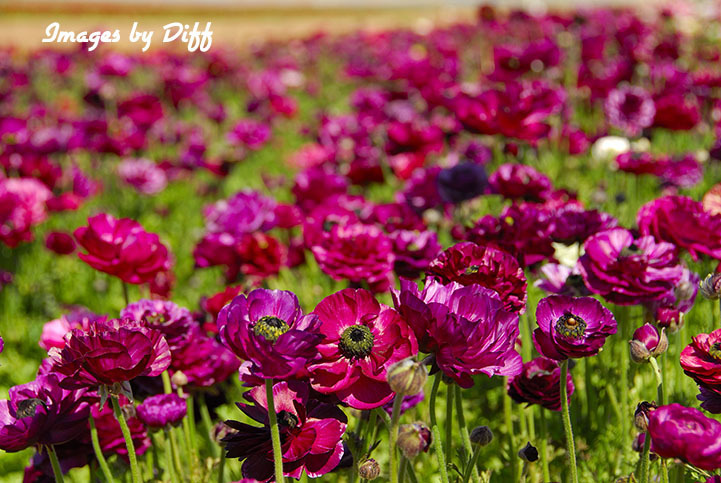 click photo to enlarge The flowers planted are Giant Tecolote Ranunculus and they are in bloom for 6 to 8 weeks each year. They have been doing this for over 60 years. 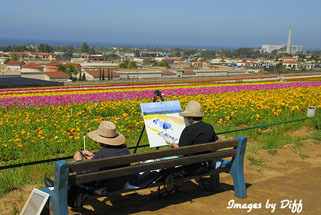 They pick and sell a certain portion of the flowers but the majority of them are there for the public to enjoy.